Wow, did y'all survive Jonas last weekend? I think some of you are still digging your way out. I heard there may be more bad weather this weekend for those hit hard again. I sure hope it misses y'all, but if not stay safe and warm. Now, let's look at some features and get this party started. Pretty bathroom transformation reveal by Vintage Refined. 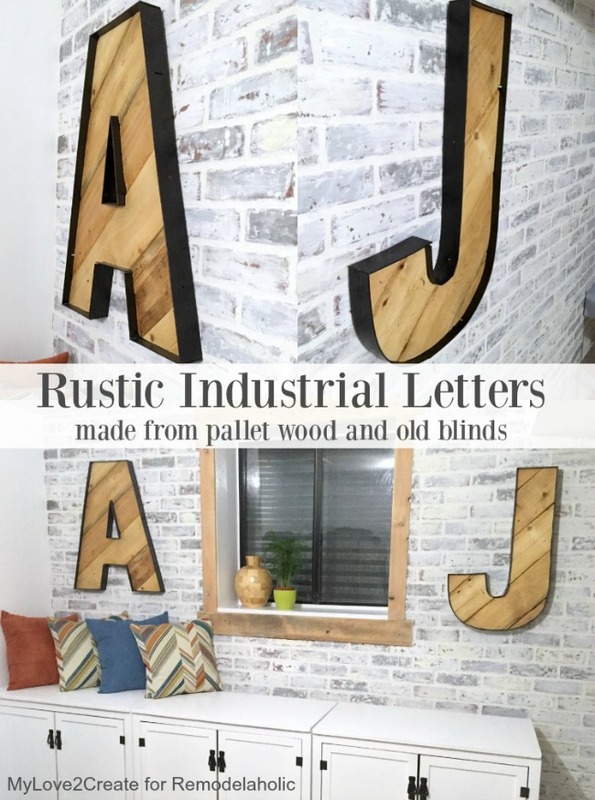 Cool industrial style letters by My Love 2 Create. 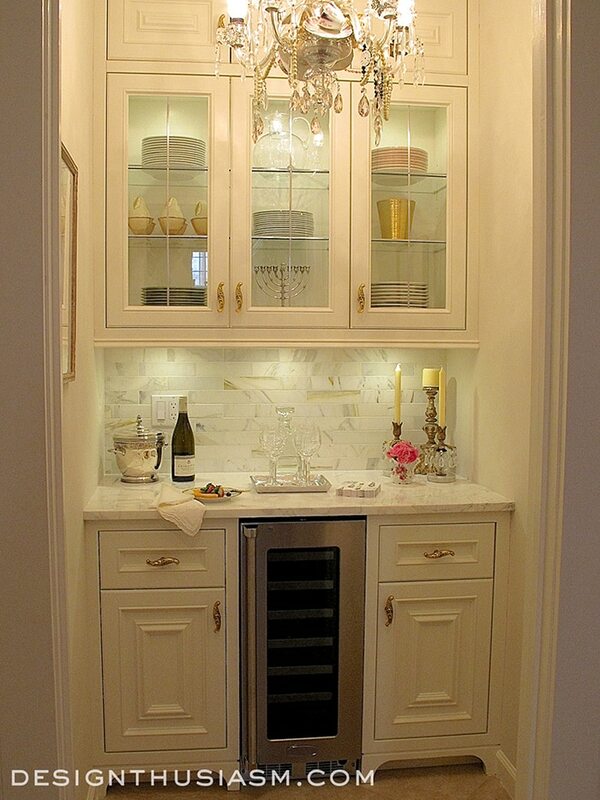 Beautiful elements in this butler's pantry shared by Designthusiasm. House By Holly shares the tutorial for painting her kitchen cabinets. I do agree that BM Advanced paint for cabinets is wonderful. That is what I used on my bathroom cabinets and bookcases in the great room. Thanks to everyone who partied with me. Great features...love all of the wonderful creativity and gorgeous rooms! Thanks for hosting and have a great week Kim! Thank you for the party Kim!!! Wishing you a wonderful week! Thankfully just a touch of Jonas / about 8 inches :) Thank you for hosting. Great features, Kim. Love those industrial looking letters! I think I've seen the great features in most parties, wow! Thank you for hosting Kim. Oh please, no more snow! Love those letters. Thanks for hosting us, Kim! We had lots of snow, but the last of it melted today. Thank you for hosting! Lots of great features this week. We've had a very mild winter this year (so far). On Sunday... it was sunny, warm and sweater weather. Il est toujours tellement plaisant de vous rendre visite et d'admirer vos publications. Thanks for hosting Kim! Have a great week. Happy Wednesday, Kim! Thanks for the party! Thanks for hosting! Hope you're having a happy evening! So happy to be back sharing with you Kim! Thanks as always for hosting! Thank you for hosting! Stay warm! Thanks for hosting, Kim, and especially for including my butler's pantry among your wonderful features!! Thanks so much for hosting Kim. Hope the rest of your week is great. Thank you for hosting Kim! I am loving those industrial letters! I've been wanting to make a some of those. Happy Wednesday! We got about 15 inches but not as much as some got! Thanks for hosting! Thankfully Winter Storm Jonas passed us by!! Love all the features and great links thanks so much for hosting.